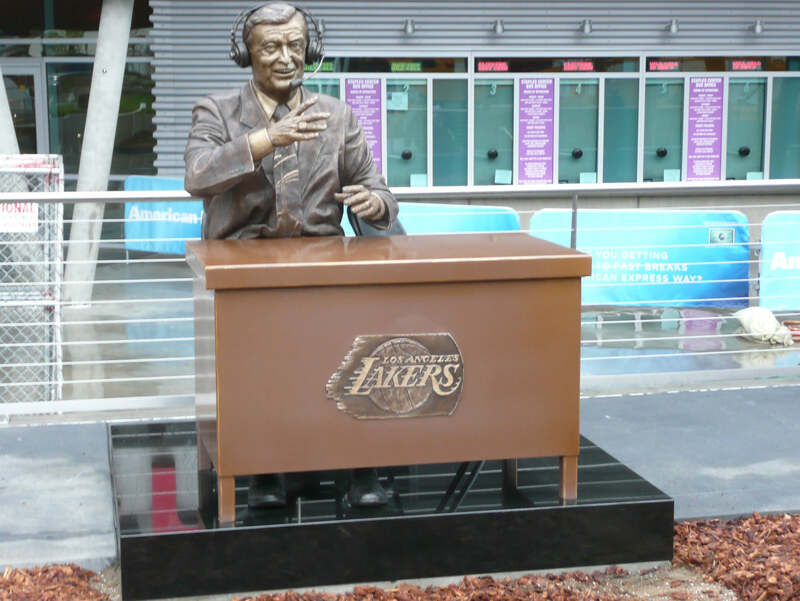 Francis Dayle "Chick" Hearn (1916-2002), known for phrases like "no harm, no foul" and "slam dunk", was the long-time voice of the Los Angeles Lakers. 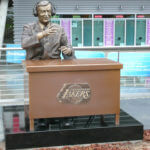 This custom-made bronze memorial was commissioned by the Lakers in 2010 and now has a home at The Staples Center. His broadcasting style lives on through other sports announcers around the league.